Simple and Easy to Use Platform for Energy Healers! Keep up with your ratings and reviews with an extremely easy to use customer feedback system available on the Pulse 24/7 app. Keep a close relationship with your clients by listening to their feedback and ratings, and keeping them in the loop with notifications. Keep your clients’ energies in a good state. 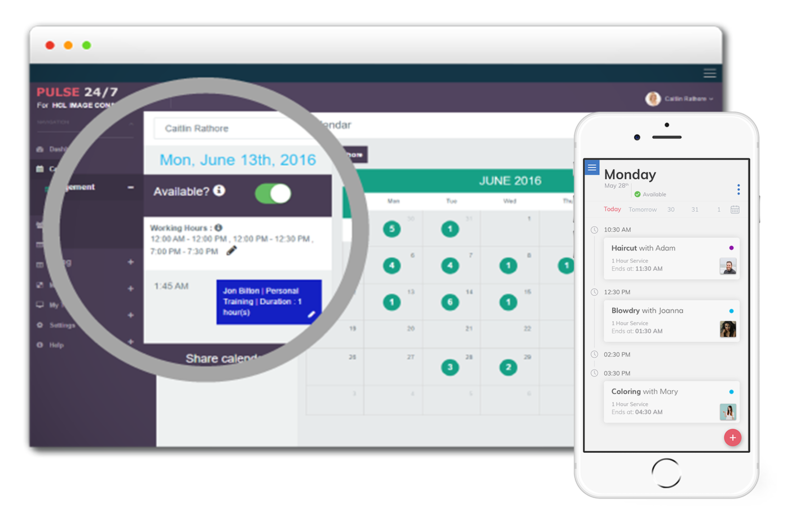 Use the calendar management feature on the Pulse app to manage appointments for your valued customers. Eliminate lengthy phone appointments and give your clients a quick online mobile booking option. Save hours by scheduling and posting content on multiple social media platforms at once all from the palm of your hands.